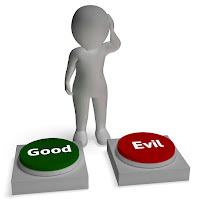 Why do we desire to define what is right and wrong instead of trusting and following God, fully knowing that our choices, if contradictory to God’s ways, will lead to consequences? This is the question this week's Explore the Bible session, Humanity's Fall, focuses on answering. There are so many directions this study could take. We could dive deeply into a study to more fully understand the origins and character of Satan. We could dive deeply into a study of the significance of The Tree of Life or the Tree of the Knowledge of Good and Evil. We could dive deeply into a discussion regarding why evil exists. While these passages introduce a wealth of theological concepts, our study can only focus on one target. Thus, we are going to answer the question related to why man would choose a path that he knew would lead to consequences. We are going to focus on the cause and the consequences of sin. The teaching helps contain a wealth of suggestions to help you guide the discussion toward answering the main question. I have referenced information from several additional resources including David Platt's new study, CounterCulture. There is a PowerPoint to help guide your discussion: Click to Preview and Download. The teaching plan is only three pages long. The last two pages include some additional reference material for your personal study. By eating, the man and woman were claiming to be God. They were saying, "No God, we run this place." They didn’t trust God; therefore they took their lives into their own hands and paid dearly for their sin.